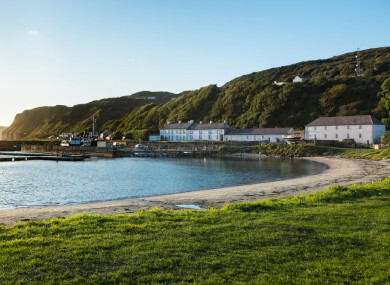 ON 23 JULY, 1997, a crime was reported on Rathlin Island for the first time in living memory. According to an RTÉ broadcast from that day, a group of teenagers from the mainland stole a car from outside a guesthouse on the island, which is off the coast of Co Antrim. The youths went joyriding before dumping the car in the harbour. A new ferry service had just been launched, making the island more accessible to visitors. Resident Mary Cecil told RTÉ in 1997 that it brought about “profound changes”. Twenty years on, the island has experienced a surge in tourism – but not in crime. Sinn Féin councillor Cara McShane said it is rare, if ever, that the police have to deal with an issue on the island. “People rely on the tourism in the high season so they can survive in the winter, so people look after their environment and they look after each other,” she said. The population on the island has also grown, with around 145 people living there on a permanent basis, and McShane said there has been a “baby boom” in recent years. She said representatives “fight battles” to ensure that people who are born on Rathlin Island, and who grew up there, can remain there as adults, earn a living and start their own families. DUP councillor Michelle Knight-McQuillan said the community has “really embraced” the surge in tourism and has capitalised on it as a way of keeping the island self-sufficient. “It’s not a very big place, so they are limited in how they can improve their economy,” she explained. “The funny thing about Rathlin is that people don’t just have one job, they have two or three jobs. The guy who brings you across on the ferry is also the fireman”. She said a number of small indigenous businesses have opened up and a hostel also opened on the island in recent years. As for crime, Knight-McQuillan said Rathlin is “still a very safe place” 20 years in from its first reported crime. Email “Twenty years since Rathlin Island's first crime, it's 'not a place where you'd get away with something'”. Feedback on “Twenty years since Rathlin Island's first crime, it's 'not a place where you'd get away with something'”.